Evernote is one of my favourite productivity tools – there will be another post following shortly explaining some of the reasons why. I just found out about a great feature for scanning business cards. 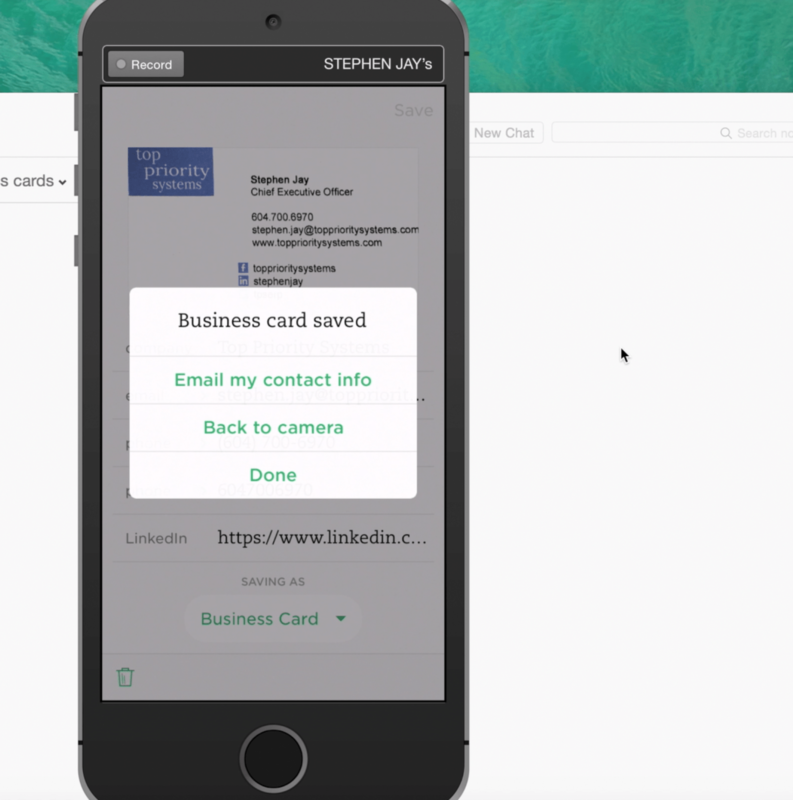 Evernote allows you to photograph the card, performs the necessary optical character recognition to read the contents, and then stores all the details. It looks up the person on LinkedIn, and brings in details from there, including the photograph. When you save the record, you are prompted to email your own contact details to them.